Being chased through a dark forest may seem like an inauspicious start for the protagonist to Inside, but it’s an excellent device for setting the tone for a game released six years after its predecessor. 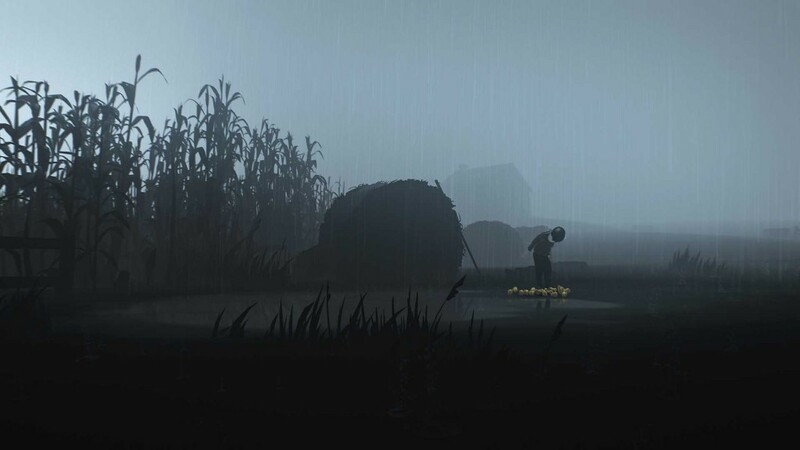 Because while this is a new tale (and a unique one at that), that opening very much lets us know that we are in for a similar game to Limbo, which is no bad thing given how successful, and genuinely excellent, Playdead’s first game still is. Indeed, it shares multiple similarities that are impossible to ignore. Vague story that leaves you to fill in the blanks? Check. Child as the playable character? Absolutely. Gorgeous art style that constantly takes you aback with its execution? Definitely. Sparse audio that, at times, has you sitting in complete silence? Got it in one. Platforming, puzzles, and physics? For sure. Absolutely brilliant at times and slightly frustrating as well? Actually, less so this time around. Not the brilliance, you understand, because at its best, Inside is truly outstanding, but the difficulty feels dialed back; although whether it’s to let the story breath or not is up for debate, because after finishing it, I’m still not entirely sure what it was about. The largely monochromatic environments and grizzly deaths suggest a hugely oppressive world that we’re in. There’re elements of mind control that play into the puzzle, with zombified adults seemingly captive to, well, that’s the problem, really: I don’t know what they’re captive to. There’s a larger story here, one that will be unraveled and poured over, but it’s one that feels more arthouse than it needs to. The feeling that you’re running from something gives way to the feeling that you’re running from everything because, just as in Limbo, everything wants to kill you. Dogs will chase you and, if they catch you, they will rip at your neck then dig into the flesh. Adults will chase you down and smother you, and at one point they even straight up shoot you dead as you run. You’ll drown (a lot, probably) and the gasping audio feels louder than war because of that almost silent movie audio design. The feeling of nausea rises repeatedly when you remember you’re playing as a child, and death is powerful here. Or, it would be, if it weren’t for the fact every death feels like it was designed, and the checkpoint pops you right back before you died. I feel conflicted about this, because it’s a blessing and a curse: ultimately it robs you of a feeling of success if you brute-force a puzzle, but to have to replay large portions of the game would destroy any emotional resonance or attachment to it. 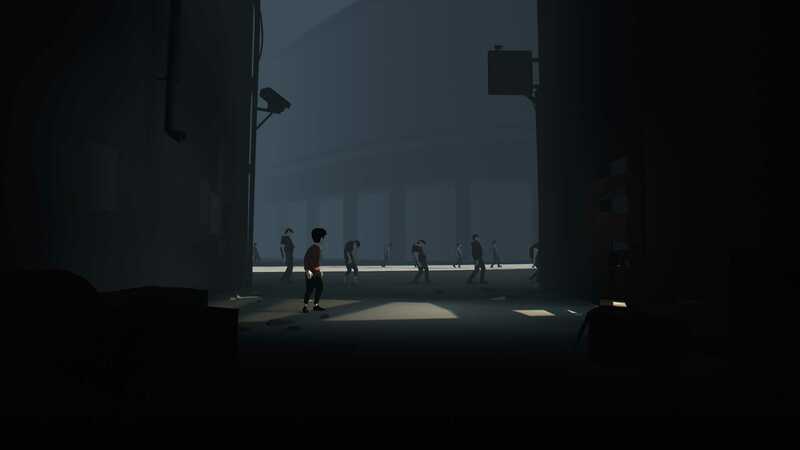 At the risk of repeating myself, well, Playdead are repeating themselves, or at least the few mistakes they made with Limbo, although on reflection I feel there’s slightly less trial and error this time around – but only slightly. Inside provides a gorgeous world to walk, jump, run, and swim through. Not traditionally beautiful, it’s all about the art style and direction, and the physics of this tangible creation make it feel so alive. The puzzle I got stuck on for the longest time involved water and a mechanical moving chain, and while I won’t give the solution here, it came to me as a sudden rush, one that made me think about Inside as if it were a real world, and not a game world – and that’s a massive success, especially since it happens on more than the odd occasion. The puzzles themselves are easier than those in Limbo (or perhaps I’ve gotten smarter, but I remember those bug-brain sections being really taxing), but they are no less clever. There are some excellent eureka moments, and some moments that you will rush through if you’ve played any game like this before. What’s especially good about the actual puzzles is how Playdead introduces them: slowly but surely mechanics are taught to you naturally (no button prompts here), to the point it all becomes second nature, and only the complexity changes. You might start out using the mind control hat to move a zombie-adult around, but later you’ll do so much more with that idea. Some late game moments change things up and introduce new puzzle elements (another took me a decent chunk of time, but it was more about precision), though others feel as though they think they’re harder than they are, but the thing that truly lets Inside down is the deliberately vague feeling to the tale being told. Ultimately, as with any good story, I did feel attached to the child I was playing as, but by the time the credits were rolling the narrative had gone so far in a certain direction that I didn’t care, and felt as though I’d done something wrong. There are collectibles that unlock achievements that are off the beaten path that include some excellent puzzles themselves, and perhaps if you find them all there’s an alternate ending, but as it stands, I feel as though a strong opening belies the ultimate conclusion, and slightly robbed me of what I felt would be a natural end. That said, after the half-way point where it gets weird, you certainly couldn’t complain about telegraphing the story, because it just goes past the point of comprehension and never comes back. I have my own theories about the story, but they’re probably way off. 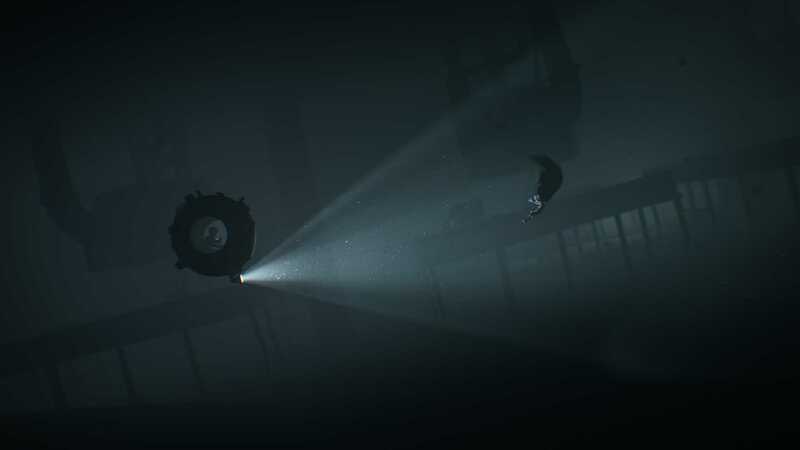 Regardless, Inside is a superb platform puzzler that delivers on a very similar experience to Limbo. It may not have its own “spider moment”, but it’s consistently entertaining, taxing enough to make you think, and gorgeous enough that whatever you think of the story, you’ll want to finish it. Six years is a long time, and a lot of things have changed, but Playdead can now say they have a signature style, and have executed it to a tee yet again. While it doesn't stray far from the template Limbo set, Inside is a gorgeous, beautifully directed puzzle platformer that you'll want to see through to the end.